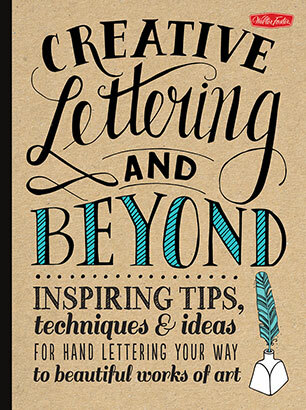 A must-have resource for anyone who wants to learn the beautiful and stylish art form of lettering. Creative Lettering and Beyond combines the artistic talents and inspirational tips and tutorials of several professional hand letterers and calligraphers for a dynamic and interactive learning experience. After a brief introduction to the various tools and materials, artists and lettering enthusiasts will learn how to master the art of hand lettering and typography through engaging, easy-to-follow step-by-step projects, prompts, and exercises. From the basic shape and form of letters, to cursive script, spacing, and alignment, artists will discover how to transform simple words, phrases, and quotes into beautiful works of hand-lettered art. The interactive format and step-by-step process offers inspirational instruction for a wide variety of fun projects and gift ideas, including hand-rendered phrases on paper and digitally enhanced notecards. Artists will also discover how to apply lettering to linen, coffee mugs, calendars, and more. Numerous practice pages and interactive prompts throughout the book invite readers to put their newfound lettering skills to use, as well as work out their artistic ideas. Covering a variety of styles and types of lettered art, including calligraphy, illustration, chalk lettering, and more, artists will find a plethora of exercises and tips to help them develop their own unique lettering style. 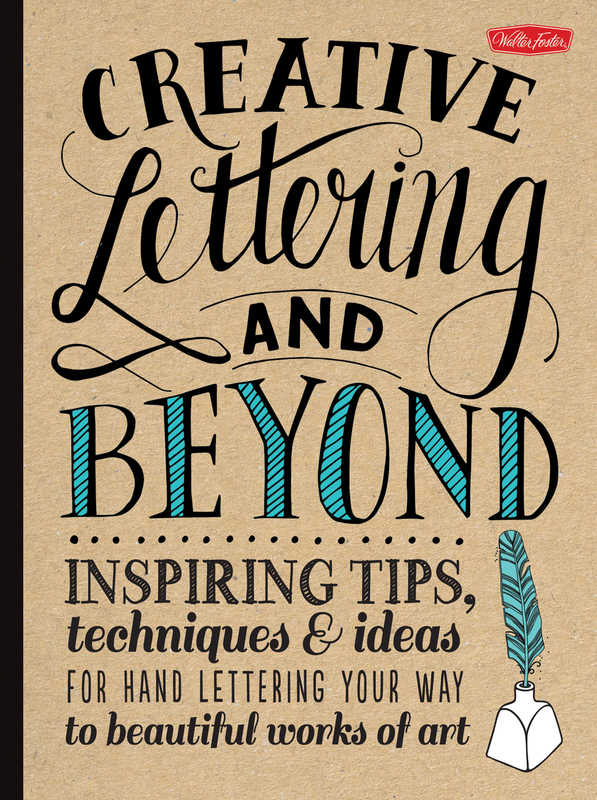 With comprehensive instructions and fun, inspirational exercises and projects, Creative Lettering and Beyond is a must-have resource for anyone who wants to learn this beautiful and stylish art form. Gabri Kirkendall is a self-taught artist and designer who specializes in pen and ink, watercolor, and photography. She works out of her home studio in Tacoma, Washington, and has a thriving online shop at Etsy. Gabri is a contributing author to the forthcoming Creative Lettering & Beyond and has a growing online presence on Pinterest (700 followers) and Facebook (103 likes).Laura Lavender has always been passionate about the fabulous world of the arts. She earned a BA in Fine Art and has had the privilege of studing calligraphy with many fine teachers. Her work has been commissioned by greeting card and book publishers, fashion designers, and musicians and has been featured in many magazines and blogs. Laura lives on Vancouver Island in Canada, where she paints, sews, gardens, dances and sings, and spends time with her family. To learn more about Laura, visit www.lauralavender.com.Julie Manwaring has long loved the whimsical, rhythmic beauty found in the repeating letterforms and flourishes of calligraphy. Her custom hand-lettering and illustration studio, Flourish & Whim, grew out of this love for letters and passion for art. Julie's styles are a unique blend of classic and modern - the perfectly imperfect ups and downs, swirls, and undulations create a graceful dance of words. Hailing from the Northeast, Julie currently lives in San Francisco with her family of three. When not in the studio, she can be found swinging at the playground with her son, strolling through the neighborhood fabric shop, or in the kitchen combining efforts with her husband on a new pizza recipe. To learn more about Julie and her work, visit www.flourishandwhim.com.Shauna Lynn Panczyszyn is a hand-lettering artist and illustrator located in Orlando, Florida. After graduating from the University of North Florida with a Bachelor of Arts, she interned at a local advertising agency, where her love of hand lettering and illustration was fostered and encouraged. Now a full-time freelance illustrator, Shauna has an unhealthy obsession with typography and is quick to point out awesome lettering and packaging examples to her friends and family, who thankfully put up with her quirkiness. She loves to create side projects based around lettering, such as her Three Word Stories project and positive quotes. Shauna works out of her home studio with her puppy, Teddy. Learn more about Shauna by visiting www.shaunaparmesan.com.